She had recently been diagnosed with advanced breast cancer which had spread to her liver. I wondered how Mrs Imafidon had let it fester for so long, when her house was a stone throw from the biggest hospital in the state. I didn't need to think for long because she was like every other Pentecostal, who believed they could pray their problems away. An extra offering here, one week of fasting and some anointing oil before bed and that pesky hard seedling in the left breast would wither and die. 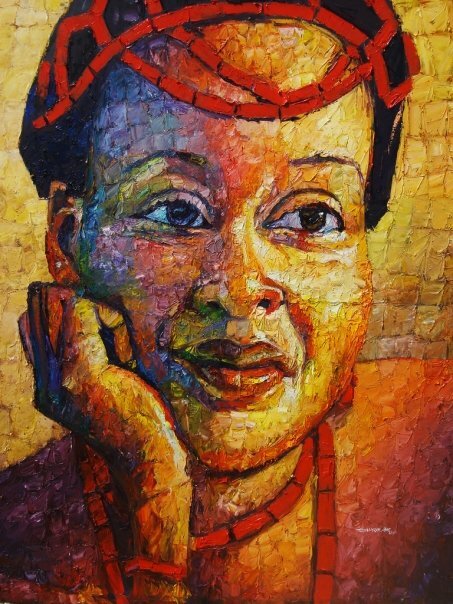 After all, the God she served wouldn't allow something as evil as breast cancer to afflict his faithful servant, it was only for the enemies and unrepentant sinners. If only she had known early enough! February 4th is World Cancer Day......."I AM" a fictional Cancer victim so "I WILL" speak up! I stared into the mirror, watching the contours of my face, previously smooth but now hardened by age. Sleep fled my eyes as I scrolled my phone book looking at names, some of which wouldn't connect if I tried to place a call through and the fleeting nature of life hit me. The older one grows, the list of those numbers grows longer; numbers belonging to those who have passed on. My eyes paused at that of Mrs Imafidon. Just to be sure, I placed a call through and of course it did not connect. Her death hurt even more because it was the most recent. The last time I saw her was a couple of months ago and she was still full of joy and hope but I couldn't match her happiness because of my learned skepticism. I had seen many people on this same path she was on and it only ended in one place, the cold hands of death. 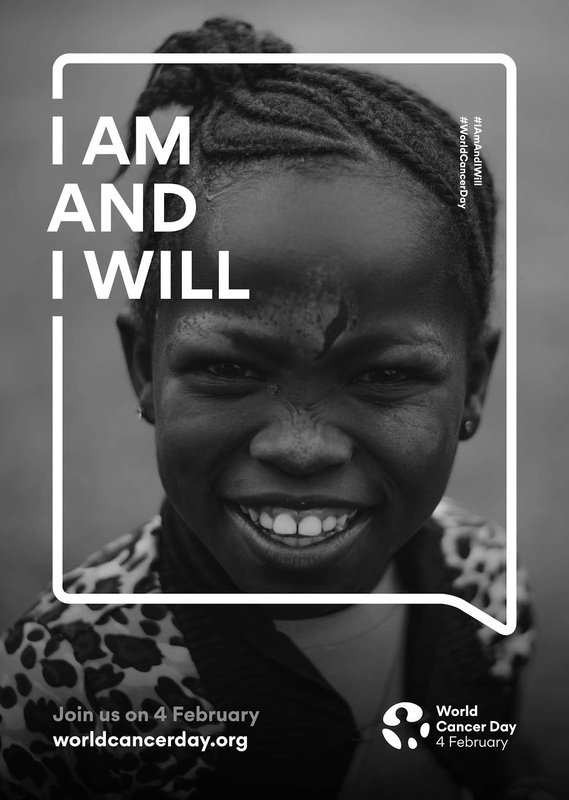 If only they had known better..."I AM" a fictional victim and "I WILL" spread the word! The seedling kept growing and became harder and bigger, till she couldn't keep it to herself. One day after a wonderful church service, she mentioned it in passing to her friend, a Professor of medicine. She didn't want to be a bother, but could she maybe take a look at her breasts, not that she thought it was anything serious. As she took off her bra in the women's rest room, she saw the blood drain from her friend's face and the look told her all she needed to know. Months later, after the surgery, transfusions, chemotherapy and millions of money spent, the look on her face even with all her hair gone, the smile and the infectious, "I'm great" when asked about her health was unbelievable . She continued with her routine of helping and being a source of inspiration to all. This was someone who had looked death in the eye and laughed. I had no doubt she breathed her last with all dignity, being at peace with herself, still as vivacious as ever and happy till the last day but only if she had known better, she would be alive spreading the word of awareness! 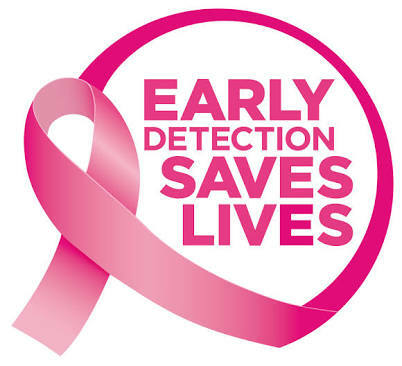 Make no mistake esteemed readers...tell someone to tell someone else, who must tell more people that, prevention is better than cure for cancer otherwise,"EARLY DETECTION SAVES LIVES"! The above story is a fictional illustration of how Mrs. Imafidon got it all wrong but the most important lesson today is, how you must not. Every cancer death is one too many, so we must all join hands and lend our voices to spreading the message. Look out for recent statistical infographics and preventive measures in the next article. https://twitter.com/wisibord (@wisibord) is a Nigerian Medical Doctor with interests in Cardiology and Psychiatry. He loves writing medical fiction for Health Promotion purposes in his free time.